What made this nation great was not the constitution imposed on it or the fake revolution against British rule. It was the relative lack of rule from 150 years before the revolution, as compared to the European monarchies, and the cultural traditions that grew from that. 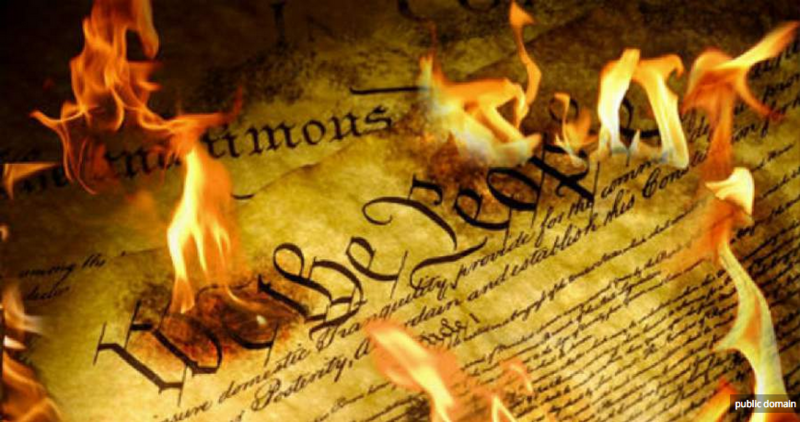 The constitution failed, the revolution failed, and all they accomplished was the steady growth of despotic government that Americans originally hated. There never should have been a “United States”. In fact, if the Americans had gone down the path of liberty, the British would not have been able to stop them anyway. Their hold on the colonies was already tenuous. This enduring myth that the revolution and constitution created liberty is the foundational error of American political consciousness. They were a step backward for liberty. Yet American conservatives, and some libertarians, fall on the crutch of the constitution, like ideological cripples. The myth must be exposed and rejected. It is the only way to accept responsibility for figuring out how to achieve liberty.